Among the many improvements for CRN's new website launched in December 2016 is the implementation of personalized passwords to sign in to our password-protected Members Only area. If you believe you are in CRN's member database, please follow the instructions here. If you need to be added to the database, update your information, list additional company contacts, or have any questions, please reach out to Maya English (202-204-7687). 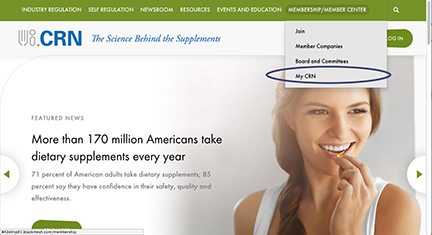 Click over to My CRN, a key members-only page that is the gateway to new committee pages, CRN's member directory, newsletter and more. You'll be prompted to log in, instead click the Reset Password tab. Enter the email address that you receive messages from CRN at—that is your CRN-recognized username for the website. Password reset instructions will be sent to your registered email address. Please note that, depending on your email system, you may need to check your spam folder for the message. 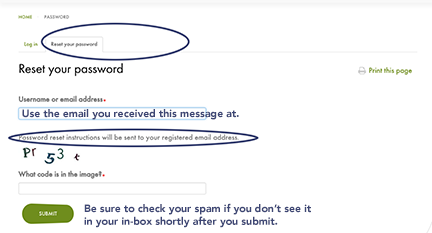 The email you receive will provide a link for you to use to set your own password. That's it! You now have access to CRN Members-only content. If you have any trouble, please contact Maya English (menglish@crnusa.org), CRN's Manager, Membership, Education & Events.